A SCUBA (self-contained underwater breathing apparatus) diver’s gear is what makes it possible for him or her to explore the depths of the ocean safely. A diver feels calm and confident about diving into deep water because they have complete confidence in the performance of their equipment. But what happens if a critical piece of SCUBA gear is defective and malfunctions at a critical moment? It can mean life or death for a diver who is hundreds of feet below the surface at the time. SCUBA gear that malfunctions on a dive can lead to catastrophic injuries such as neurological and respiratory problems, but it can also lead to death. 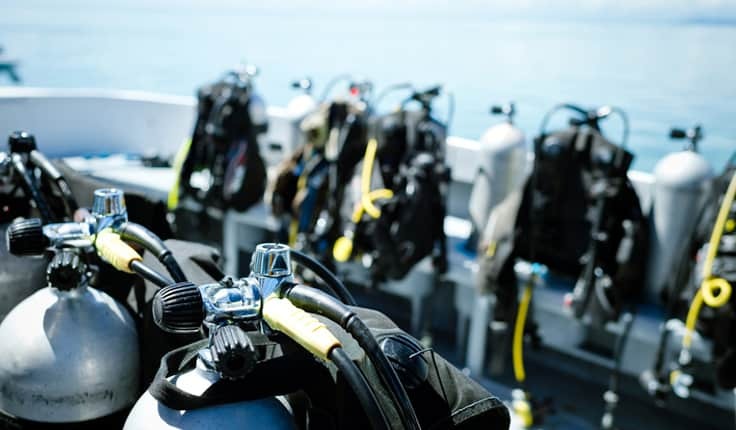 The Yeboah Law Group’s Fort Lauderdale SCUBA defects attorneys know how to investigate diving accidents that are the result of defective diving equipment. We know how to build a compelling case, establish liability and win compensation on behalf of our clients.  Our skilled product liability attorneys take cases on a contingency fee basis, so you do not pay attorney fees until we have recovered compensation for you. The idyllic, crystalline waters around Florida along with the year-round balmy temperatures lure SCUBA divers to the region every year. SCUBA is one of those sports which would be impossible to participate in without equipment that is in perfect working order. SCUBA equipment can be defective due to faulty design, or a manufacturing defect. If you or someone you care about has suffered a serious injury in a diving accident because of defective SCUBA equipment, you may be able to take legal action and pursue compensation in a products liability claim, or a wrongful death action in the case of the loss of a loved one. Divers must always thoroughly inspect their equipment before a dive. If the equipment is rented, do not be shy about asking for a replacement if there seems to be something wrong with a piece of equipment. If there is an unfortunate accident caused by defective equipment, divers can suffer serious, sometimes permanent injury and even death. DAN listed equipment problems as the third most common factor in diving fatalities. A list of recalled diving equipment can be found at SCUBA.com. If you are filing a products liability claim for an injury from defective diving equipment, the fact that the company has recalled the product does not make them automatically liable, but it also does not mean that they cannot be sued when a recalled product causes injury. Your Fort Lauderdale SCUBA defect attorney will protect your rights against large, equipment manufacturers and their insurance company lawyers. Can I sue even if I have signed a waiver? If your injury was a result of defective equipment that you rented while on a charter diving tour, and you signed a waiver before participating in the tour, this does not necessarily mean that you have signed away all your rights. Because SCUBA diving is a potentially dangerous activity, businesses use waivers to try to shrug off legal liability if an accident should occur. Your Fort Lauderdale SCUBA defects attorney can inspect the waiver that you signed to determine if the language of the waiver complies with Florida law. Work with a knowledgeable Fort Lauderdale product liability attorney. Schedule a free consultation today. If you came to Fort Lauderdale for a fun SCUBA vacation and suffered a serious injury caused by defective equipment, we can help. 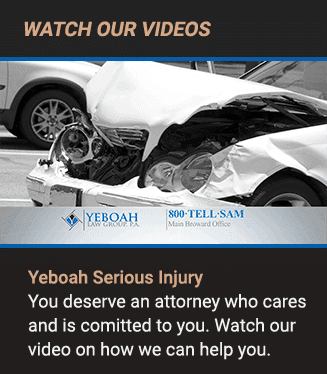 The skilled products liability lawyers at Yeboah Law Group holds those who are responsible for our clients’ injuries accountable for their losses. We fight to win for your right to fair compensation. We encourage you to call and schedule a free consultation at 1-800-TELL-SAM or fill out our contact form. We serve clients in Fort Lauderdale and throughout South Florida.